A holiday to Greece is guaranteed to involve the perfect combination of culture, exploration, sunshine and relaxation. There are hundreds of idyllic islands to choose from, boasting endless coastline, fascinating ancient history and delicious local cuisine. The only trouble is deciding where to stay, but that’s where Original Travel can help. 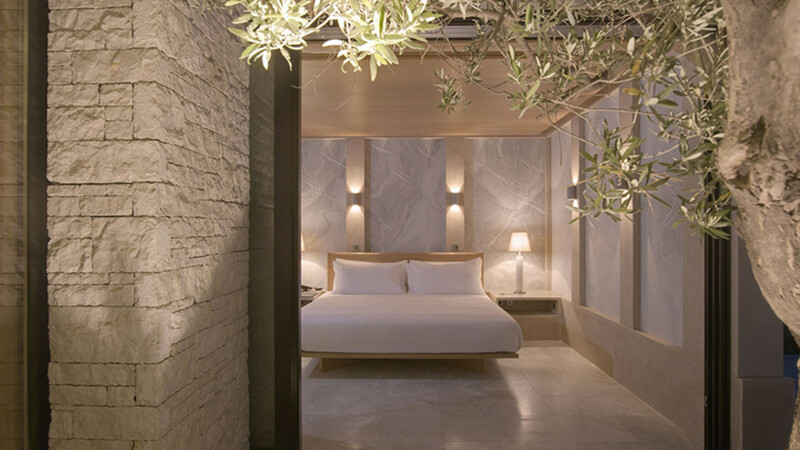 The experts in bespoke stylish travel have given us their top tips for a stylish Greek getaway. The Peloponnese region is bursting with culture and history. Sparta, Olympus, Corinth – there’s so much to see, and that’s before you even glance at the spectacular mountains, which give way to beautiful beaches along the coast. Amanzoe is a boutique hotel that matches the beauty of its surroundings. Explore the nearby sites, then spend the afternoon in your own private plunge pool, looking out through olive groves to the sparkling Aegean Sea. Hotels don’t come much more stylish and romantic than this. Typified by its bright white buildings with blue domed roofs, Santorini is the spot for a luxurious Greek holiday. 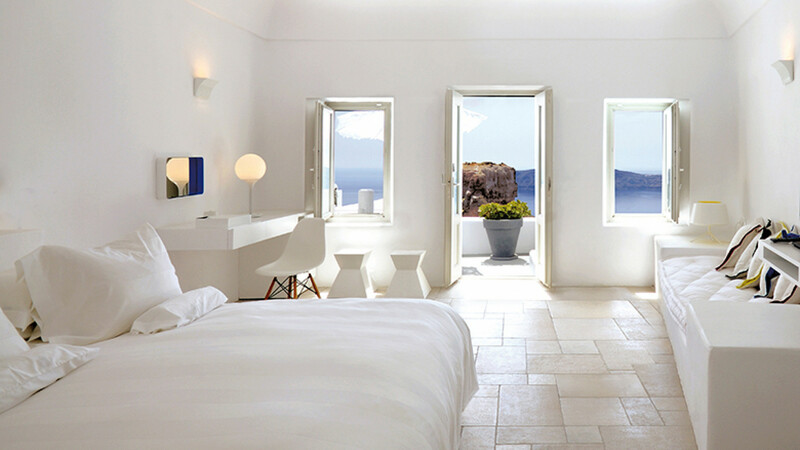 Made up of classic Cycladic houses carved into the hillside, the Grace Santorini is the place to watch the island’s famous sunset over the Caldera. 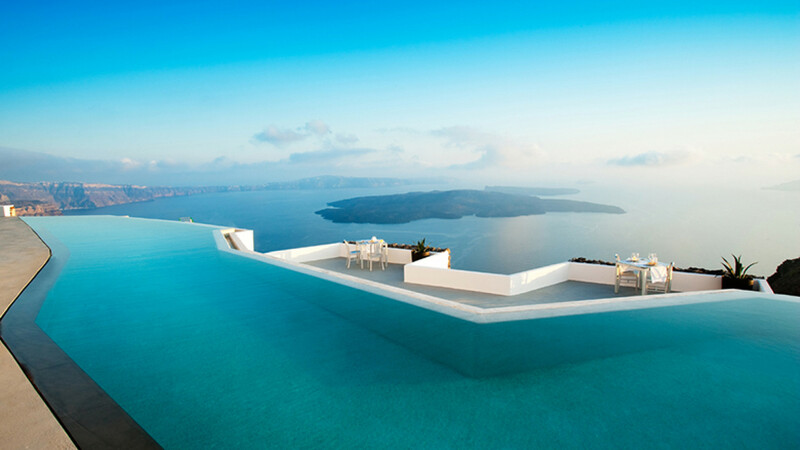 And that infinity pool? It’s one of the best we’ve seen. Why visit just one Greek island when you can have them all? 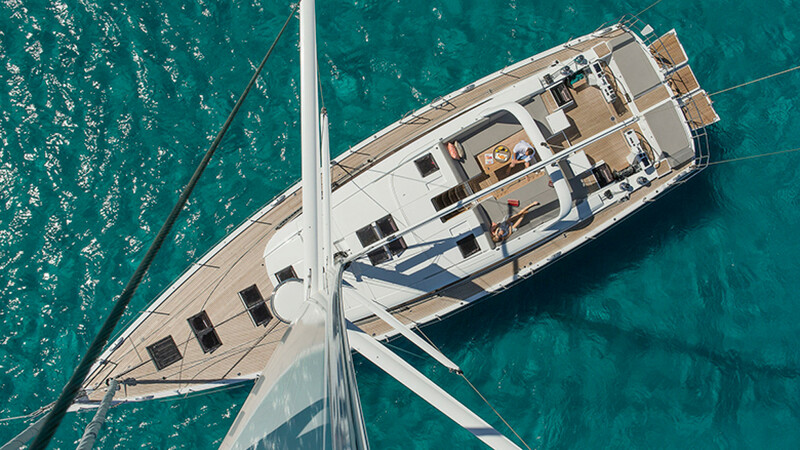 We like the sound of sailing the coast on a private super yacht, and the Argentous Super Yacht is perfect for both families and couples (with a crew ready to cater to your every need). It offers a chance to explore a whole host of lovely Greek islands, and there’s a load of water sports to enjoy too, from waterskiing to paddle boarding. 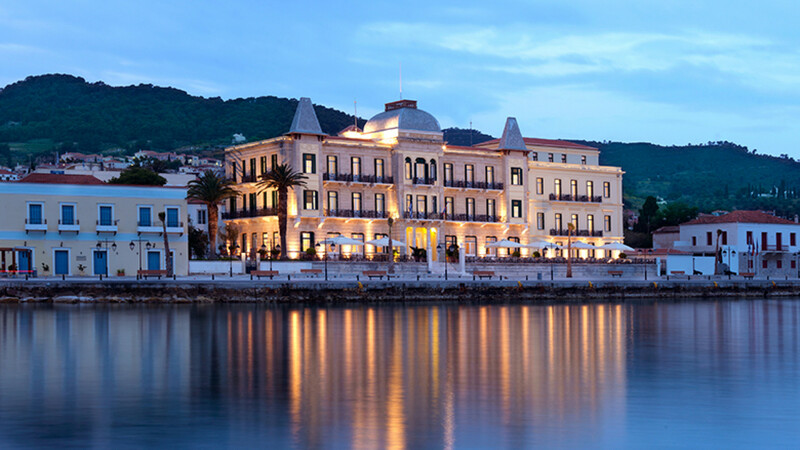 The island of Spetses has always been a Greek secret. For a glamorous hang out with old school elegance, book into the Poseidonian Grand Hotel. Sitting pride of place on the waterfront, it’s been the discreet venue for VIP stays over the years. Book us in! 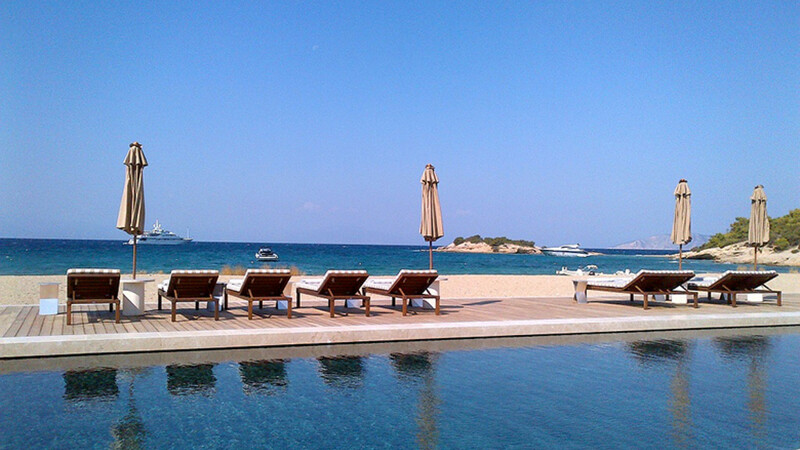 To hear more about Greece’s spectacular beaches and stylish hotels, speak to the experts at Original Travel. Since its launch in 2003, Original Travel (www.originaltravel.co.uk) has become one of the UK’s fastest growing bespoke travel companies firmly establishing itself as ‘one to watch’ in the luxury travel industry. The company now offers holidays to 90 countries worldwide. 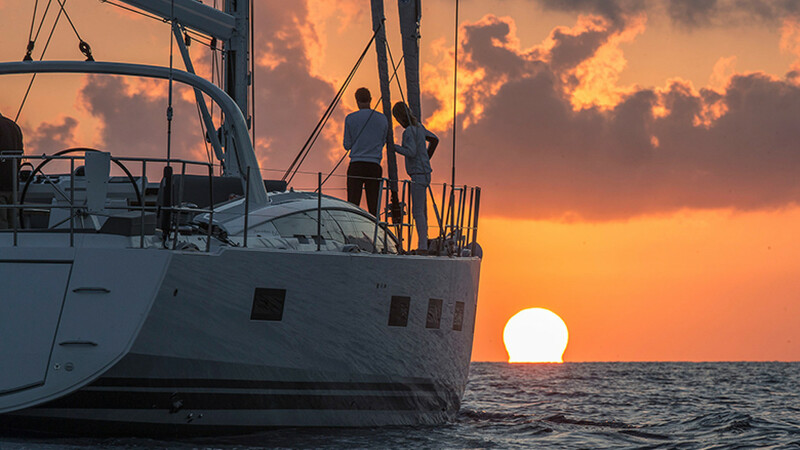 These include bespoke adventure holidays and expeditions in unusual locations, safaris on seven continents, inaccessible private properties, opulent city breaks, skiing in all its guises and simple flop and drops on the best beaches in the world.